As a basic principle governing moral thinking, the Buddhist concept of karma is brilliant. With clarity and simplicity, it informs participants in Buddhist cultures that what becomes of them in life is dependent on the quality of their relations to other people and on what they do in life. The fact that the concept of karma was transferred from one religious tradition to others in Asia has meant that its early mythological foundations have been weakened, to some extent allowing it to stand on its own. Although western religions have moral principles that function in similar ways, in each case these concepts cannot so easily be severed from their mythological grounding in the ideas of the will of God, heaven and hell. That difference suggests that karma’s potential as a moral principle for contemporary global culture is outstanding. In order to live up to that role, however, some dimensions of the concept of karma would require rethinking. In this lecture, Prof. Wright assesses the strengths and weaknesses of the idea of karma, and suggests how certain aspects of the idea can be developed into a powerful and realistic moral framework for the approaching global society. An audio-only version of this talk is also available. Originally recorded on 28 October 2011, at the Institute of Buddhist Studies in Berkeley, Ca. 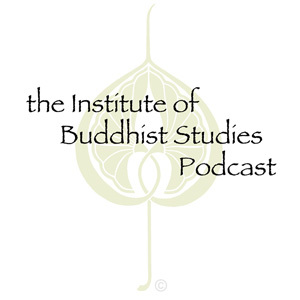 Copyright © 2019 Institute of Buddhist Studies Podcast. Powered by WordPress. Theme: Spacious by ThemeGrill.